Thanks for this thoughtful roundup, Sylvia, and for all YOU do to nurture poetry!! I look forward to exploring these terrific links. Sylvia, thank you for your informative post. There are certainly so many titles to read at this point. It's wonderful to hear about your presentations as well. Yay! Thank you for sharing all this wonderful poetry news. This is the first year I tuned in via the live feed. 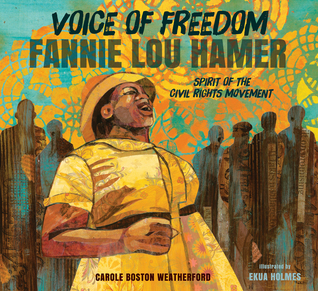 SO exciting to hear the news first hand and celebrate these wonderful books gaining the recognition they deserve. Thanks for the summary, Sylvia! It's great to see so much poetry being honored! Thanks, Sylvia. It was exciting to be at ALA, though I had to leave before the awards. To me, it was interesting that 2014 novels in verse were big award winners. Verse novels seemed to get less attention this year, but publishers seem to be excited about some of the historical novels in verse coming out in 2016. Hey, friends, thanks for stopping by this first post of the year and sharing my happiness with the recognition of these poetry books. Just wish there were MORE! So glad you could watch LIVE too, Michelle, it's quite an electric experience. And it IS interesting to see how verse novels fit into the poetry publishing landscape, Laura. I'm glad YOURS is out this year and I predict great things! Here's to another year discovering new poetry gems. I'll be posting my 2016 "sneak peek" list of forthcoming poetry for young people soon! I watched the YMA announcements Monday morning. I have to be more selective about buying children's books these days as I already own thousands of children's books--including lots of poetry collections and anthologies--and have much less room now that we have downsized. 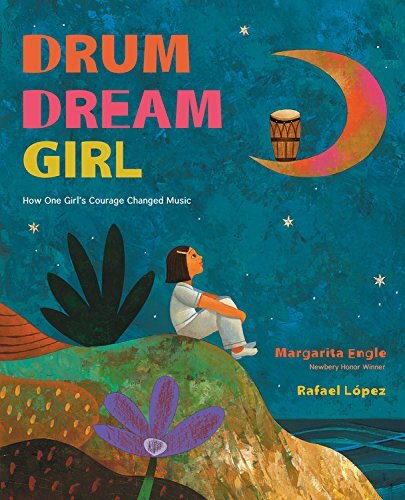 That said, I'm planning to get a copy of "Drum Dream Girl" for my older granddaughter. 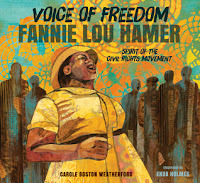 The book looks gorgeous. Two of the poetry books I'm dying to get my hands on this year is Julie Fogliano's "When Green Becomes Tomatoes" and Marilyn Singer's "Echo Echo." Oops! 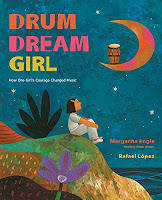 I should have written: Two of the poetry books I'm dying to get my hands on this year ARE Julie Fogliano's "When Green Becomes Tomatoes" and Marilyn Singer's "Echo Echo." You are a wonderful poetry ambassador, Sylvia! Thanks for highlighting these extra special winners in the list! 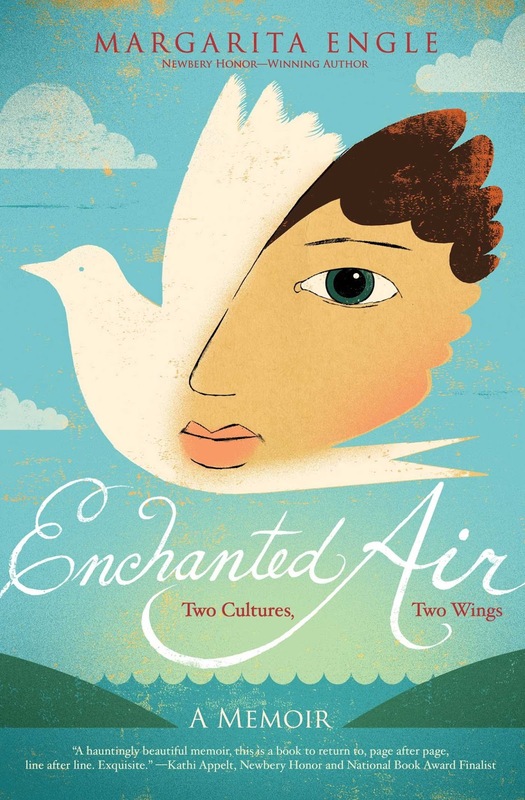 Hi there Sylvia, Enchanted Air was one of my favourite verse memoirs from last year - so powerful and deeply affecting. Thank you for highlighting it here.